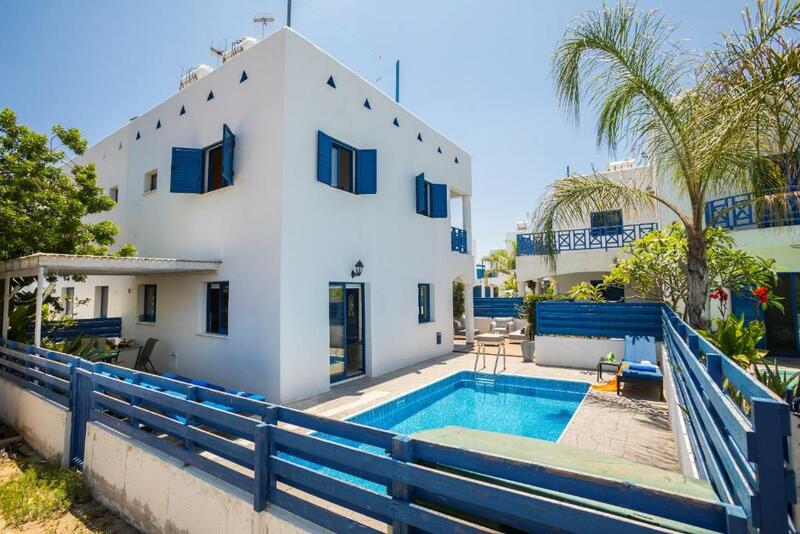 Located in Paralimni, Villa Santorini offers a garden with a barbecue, and free WiFi. This air-conditioned holiday home comes with a dining area, a kitchen with an oven, and a cable flat-screen TV. Free private parking is available at the holiday home. 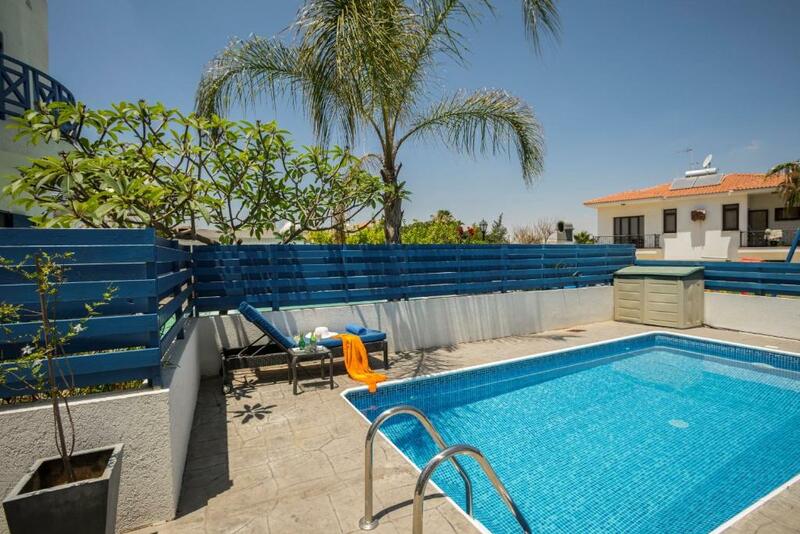 Guests can enjoy the outdoor swimming pool at the accommodations. Larnaka Airport is 37 mi from Villa Santorini. 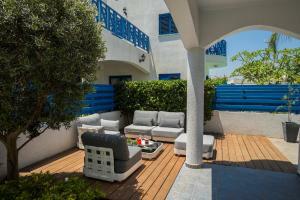 When would you like to stay at Villa Santorini? 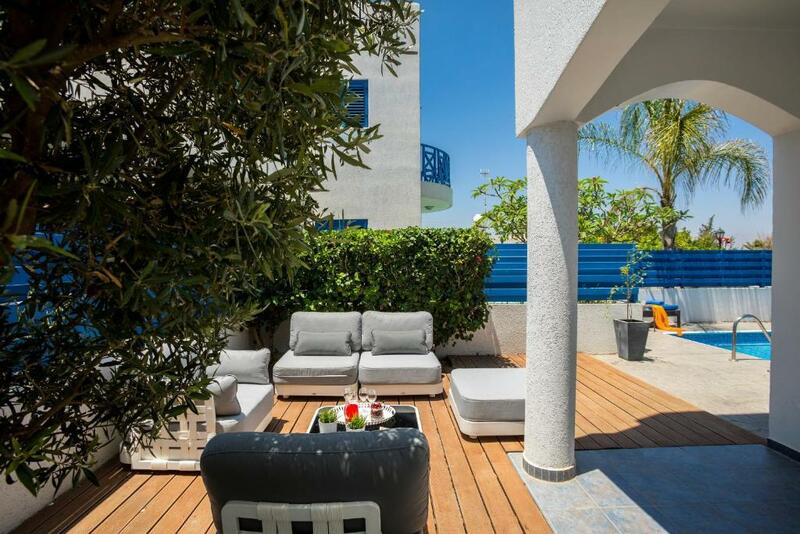 This holiday home has a balcony, dining area and patio. 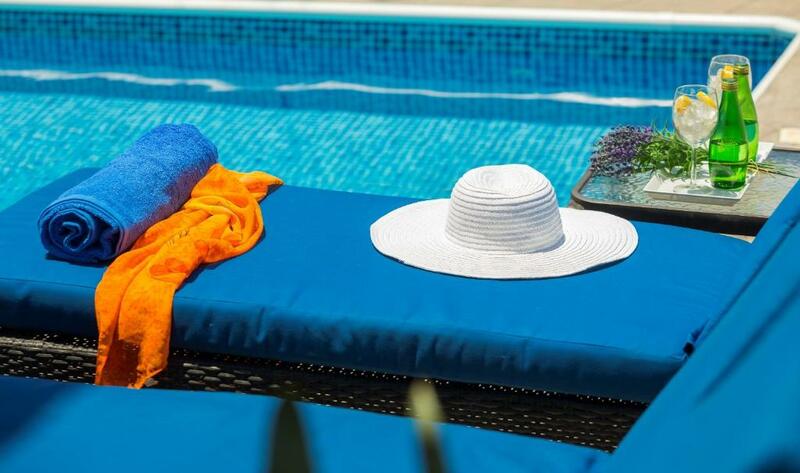 House Rules Villa Santorini takes special requests – add in the next step! 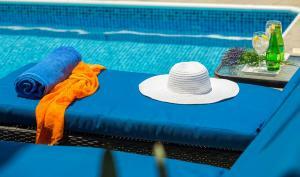 Villa Santorini accepts these cards and reserves the right to temporarily hold an amount prior to arrival. Please inform Villa Santorini of your expected arrival time in advance. You can use the Special Requests box when booking, or contact the property directly using the contact details in your confirmation. We need at least 5 reviews before we can calculate a review score. 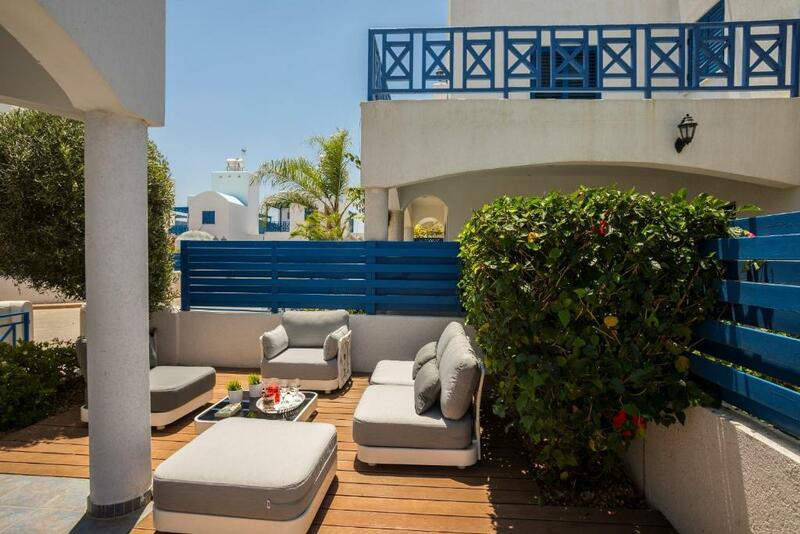 If you book and review your stay, you can help Villa Santorini meet this goal.